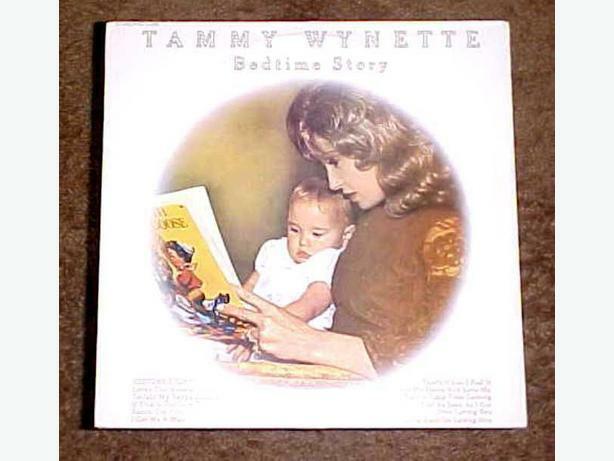 THIS VINYL RECORD, BEDTIME STORY, IS BY THE ICONIC COUNTRY AND WETERN SINGER TAMMY WYNETTE. IT WAS RELEASED IN 1972 ON THE EPIC LABEL. ITS NUMBER IS KE 31285. SOME OF THE FEATURED SONGS BEDTIME STORY, TONIGHT MY BABY'S COMING HOME AND LOVE'S THE ANSWER. THE CONDITION OF THE ALBUM AND SLEAVE ARE BOTH GOOD.